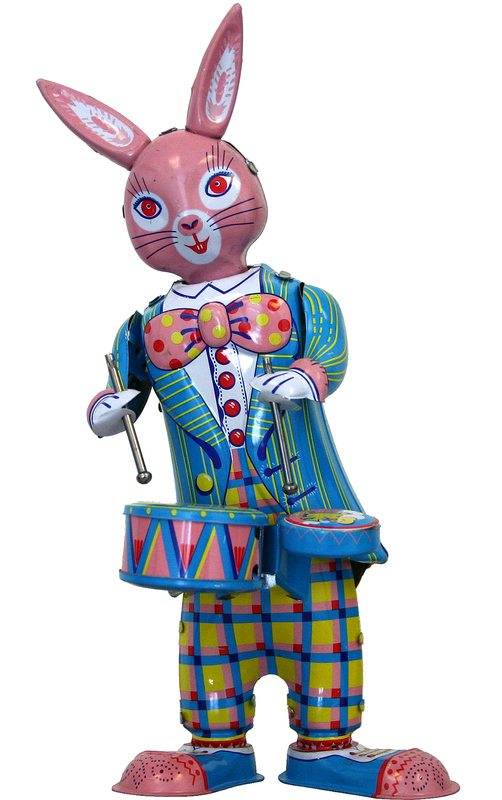 MS298 - Tin Toy - 8.5H x 4"W x 4"D"
MS298 - Collectible Tin Toy - Bunny with Drums - 8.5H x 4"W x 4"D"
Tin bunny drummer - key-wind - made in China. This musician sways back and forth to the sounds of his own drumming. Recommended for adult collectors.